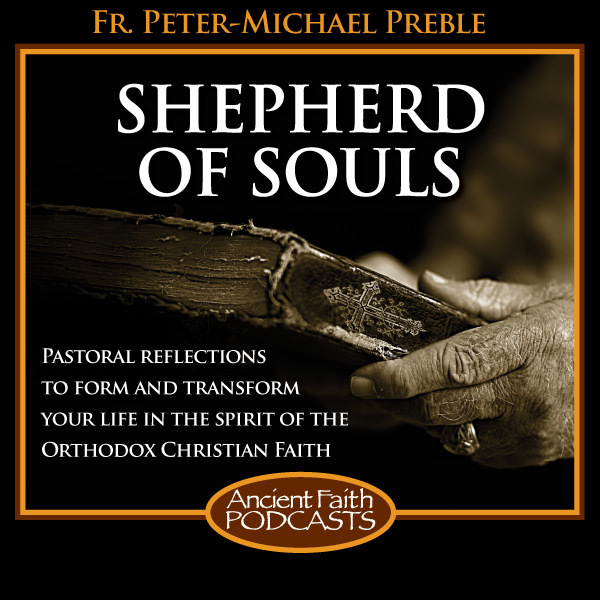 Each week on The Shepherd of Souls radio program, Fr. Peter Preble brings stories and interviews to form and transform our spiritual life and assist us on our journey through this life. Fr. 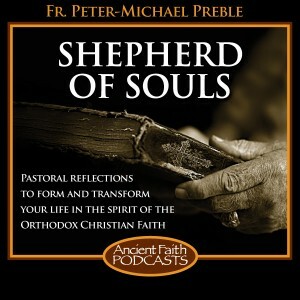 Peter Preble is an Orthodox Priest, Author, Speaker, Essayist, & Pastor of St. Michael Orthodox Church in Southbridge, Massachusetts and author of the Book Listening to the Heartbeat of God published by Regina Orthodox Press. Fr. Peter plays a song by the St. Vladimir’s Seminary Chorale, shares some cooking tips, and presents his homily from this past Sunday. Fr. Peter plays the old hymn “Come Ye Faithful People, Come,” and then shares a recent homily on thankfulness. Fr. Peter interviews Fr. Luke Veronis, priest at Sts. Constantine and Helen Greek Orthodox Church, about a ballot question to repeal a casino deal in Massachusetts. Fr. Peter plays the song “Full Moon in Romania” by Ron Moore and then shares his homily from this past Sunday. Fr. Peter plays the song “Mary” by Ron Moore and then shares his homily on the Parable of the Sower. Fr. Peter plays the song “I’ve Tried” by Phil Nasr and then shares a homily on persecution. Fr. Peter plays the song “Orthodoxy Soup” by Andrew Anthony and then continues his conversation with one of the authors of the new book Slow Church: Cultivating Community in the Patient Way of Jesus. Fr. Peter plays the song “Always Standing By” by Fr. Peter John Gilquist and then interviews one of the authors of the new book Slow Church: Cultivating Community in the Patient Way of Jesus. Fr. Peter plays the song “In Jesus’s Name” by Jimmy Santis and then shares his homily from the Sunday of the Exaltation of the Holy Cross. Fr. Peter plays a song by Fr. Justin Matthews from a CD called The Cross Culture Project and then shares a homily form this past June.